Youngsters Flynn Downes, Conor McKendry and Luke Woolfenden have signed their first professional deals with the Blues. The terms are understood to be one-year contracts with options for a further season, the trio having completed their two-year academy scholarships at the end of 2016/17. 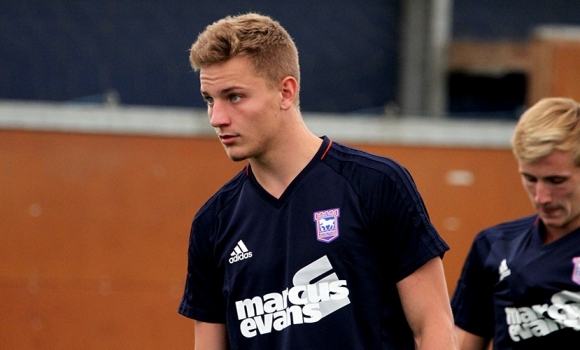 Brentwood-born midfielder Downes, 18, (above) was on the bench for the final first team game of last season at Nottingham Forest having impressed manager Mick McCarthy in the latter stages of the campaign with his performances in the U23s. “All-round, technically he’s a really good footballer," McCarthy said. "He’s athletic, he puts his foot in, he’ll compete, he’s a real competitor and he’s a winner on the pitch. “He comes over and he shows no respect for the first team, he comes and dumps them on their backsides if they need dumping on their backsides. I love that about him." 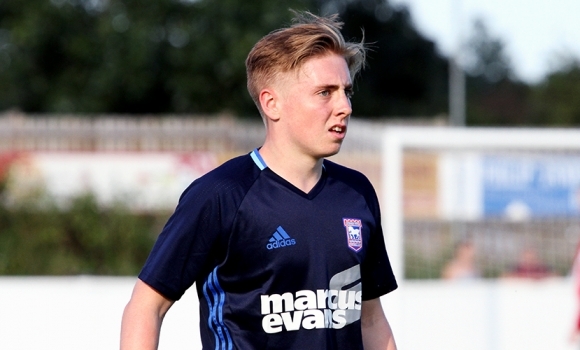 Northern Ireland U16 and U17 international McKendry (above), also 18, is a winger, while Ipswich-born defender Woolfenden, again 18, plays at both centre-half and right-back. Really pleased with that news, I haven't seen Flynn Downes have a bad game, hope to see him on the bench more this season. I am a little surprised that McKendry has been given one but who knows after another year playing in U23s he might get better. Woolfenden will improve playing in the U23s on a regular basic. Best of luck to all of them. I hope they get a chance in our first team when the time is right, at least from the substitute's bench. We could really use some players progressing from the academy, as the only one to establish a first team place in recent years has been Kenlock (and that was mainly during a time Knudsen was injured). Dozzell and Emmanuel were limited to occasional performance, and I would like to see both push on. We need to deliver point 1 of Marcus Evans' 5-point plan: ‘To provide a significant ongoing financial commitment to the club’s academy, enabling a steady flow of players into the first-team’. I agree with Mark. There is no point in having an academy unless the youngsters are given a proper chance. Sir Bobby understood that, MM doesn't. Lovely to see the next crop of youngsters coming through!, let's hope Dino Mick has fecked off by the time their mature enough to challenge for a first team place, otherwise???? Well, we all know the answer to that one......... Good humour Midas!!! Good luck to the boys,but i wonder if they will ever get a game,or a chance like most of the youngsters. I think Mick has been excellent at easing our youth in to the first team picture over the last few seasons. I'm sure the process will continue during the forthcoming season. Midastouch - How many players do we have aged over 32? Elto - McCarthy deserves credit for signing players, even with my loathing of the man I can't not give credit for that, but excellent at bringing the youth through, your having a fecking laugh, its favourites all the way with him, wake up fella and take your blinkers off. While your at it might I suggest a sense of humour transplant might also be in order. Oh Cat, if only I could see everything as clearly as you. Elto - take them rose tainted specs off, things will suddenly become clearer! !